about this book: Life is full of opportunities. Yes it is, especially in this age.There's a huge resevoir of energy lurking in the human mind, but many people lack the awareness that they can change their lives by changing their inner make up. Change your awareness change your life. 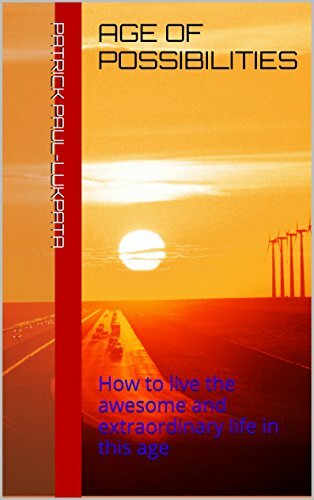 The book AGE OF POSSIBILITIES: How to Live the Awesome and Extraordinary Life in this Age takes a shot into the power of the human mind and how we see challenges in life. The way you see life determines how you live it. Living your best life is directly proportional to the purpose and goals you are willing to die for. Service and living a life of service will help give a meaning to life. Mediocrity and living a mediocre life is a disservice to ourselves as a particle of the Almighty. Therefore, how do you rise above mediocrity? How do you unleash your creative potentials to make your life awesome and extraordinary? The goal is to live an extraordinary life in this age where everything is possible, if you understand your nature as a spark of the creator. How can you harness your gut instinct to make important life decisions as well as staying happy and in harmony with all life? It is simply possible to have all these because the power of technology in this age is itself awesome. Technology like the Internet of things (IoT), 3D printing, Weareable devices and other new age Tech. are changing the ways we interact with ourselves and with other humans. Billion dollar businesses are being built out of these technologies and life is becoming beautiful for those who have the knowledge and awareness to ditch ignorance and start living their dreams and purpose. 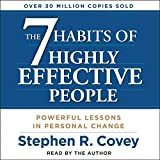 This book is for you if you want to live to your full potential as well as out run ordinary.